An aromatherapy herb pack is a formula of substances in a packet that is made of 2 layers of coating that is permeable to aroma. The herbs in the packet will allow the herb’s natural scent to pass through the coat and be diffused. It will gently help in relieve pain, stiffness, and tension. A common cause of pain or discomfort is stress. This very potent factor can cause pains to your body. Also related body pains are associated to problems with your sinuses as well. These are few of the many cases that the aromatherapy herb pack is effective on. The way the herb pack is structured, it is designed for spot healing that which it may implore the effects of aromatherapy on certain body parts. On lumbar back pains it helps the arteries and veins to dilate that will help increase blood flow to that specific part. Mostly the causes of back pain are having a sedentary lifestyle (not-so-active), lack of exercise and prolonged sitting. The lack of activity leads to rigidity of the muscles so blood is not able to properly circulate on these parts. By reversing this current state the pain caused by inactivity is relieved. The application of heat therapy helps restore tissue flexibility in the spinal column so stretching and other strenuous activities may not cause as much damage like injury or overstretching. Ok, we know that heat therapy can relieve pain and stiffness. So what are the benefits using aromatherapy herb pack over other methods such as massage? Just 2 reasons. One is easy to do. You can put aromatherapy herb pack while sleeping or while at work or in the car. And the other one is cheaper than taking an aromatherapy massage. How to choose the good one? It is important to know what you want to use it for. By determining the type of condition you need to treat you are able to determine the body part you will apply the herb pack best suited as well. There are aromatherapy herb pack designs that are appropriate for the shoulder, the face, the neck and other with larger areas such as back area and anterior (front) abdomen. Know your herb or fragrance. Remember that choosing the most appropriate herb for the determined condition would help further achieve your goal for relief. Chamomile, lavender, peppermint is good for reducing the swelling and a notable characteristic of relaxing effect, as an example. For sinus related conditions, Yucca oil is a very good choice. Make sure that the materials you are using are of all-natural origin this is specific to the use of the aromatherapy herb pack. Remember that materials of highest and purest quality will best render the effects of heat therapy-aromatherapy herb pack combo. The herbal pack that you are using needs to have a removable lid so you are able to clean it. Note that all types of packs can harbor mildew and mold. With the presence of heat and moisture, that calls for mold and mildew to proliferate. It is important to watch out for these allergic factors to avoid any associated reactions. If you have a noted severe reaction to these organisms it is best to use an unscented pack that is microwavable instead. Find the most heat retentive packs to at least 30 minutes to achieve the best possible result. Packs with corn as main filler are reputed to have longer heat-retention property than those filled with rice and other fillers. Note: for facial heat packs make sure you choose the one with less heat-retentive materials as the skin of the face is prone to burns and is more sensitive so too much heat is not required. Do comparison shopping. Why is this? To get the best deal on the packs you are buying make sure you were able to compare price ranges that can mean some savings for you. If a pack can be both heat and cold pack it will serve as a dual purpose pack that will be convenient should you need a cold pack. It is suggested that aromatherapy infused with the cold or hot therapy packs technology can help facilitate relief of pain and promote relaxation. There is , however, no concrete evidence that proves that aromatherapy does this but as previously stated proponents of aromatherapy says otherwise. A heat pack in general may cause burns, cautious handling is extremely necessary. How to use it to get the maximum benefit? You should check the temperature. It should be warm enough to relieve your pain but not burn your skin. You can use enough insulation in between. The longer the product is applied the better. For a very minor treatment you can use for 15 to 20 minutes. But for more intense injury you can use longer from 30 minutes to 2 hours. Different products have different degrees of effects on various people. You alone can choose what really works best for you. For cases that are cardiovascular in nature like common heart disease or hypertension you must consult with a medical professional for appropriate treatment. Also another common product is aroma-pillows. Basically these are pillows that are willed with the buds of lavender, flax seed and rice. 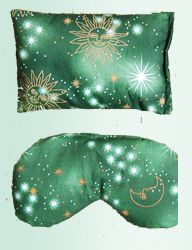 This pillow type may be placed in regular pillow cases if you want to. Different company set different price for their products. Mostly average from $10 to $40. The most expensive is aromatherapy herb pack for the back.